Brief and Scope The space started it’s life being thought of as a utility area. 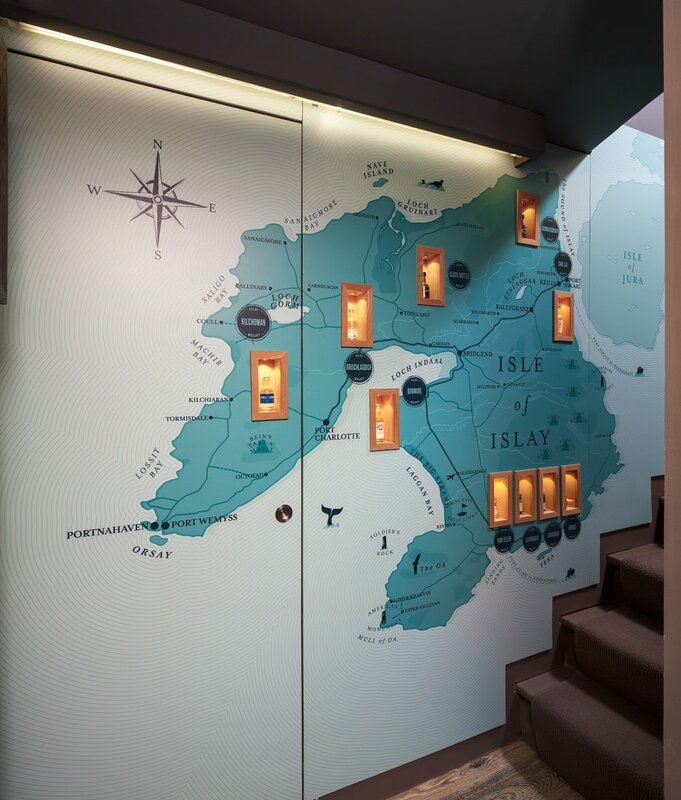 With a few modifications we were able to turn it into a whisky den to showcase our clients impressive collection of malts! 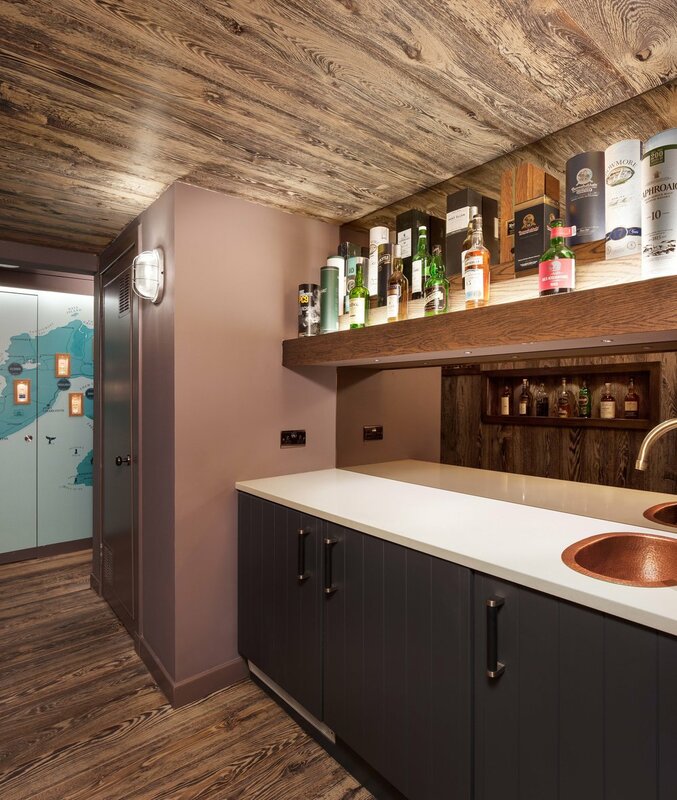 Visitors enjoying a dram are none the wiser of the practical nature of the space. A fun and stylish way to enhance a functional space.